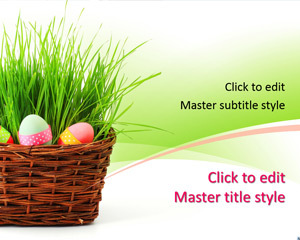 This is a free Easter Eggs PowerPoint template for celebration of Easter season in 2015. 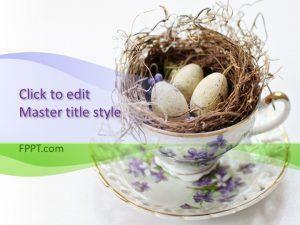 The free PPT template has a nice bag with green grass and Easter Eggs and a green background design with a very creative style. 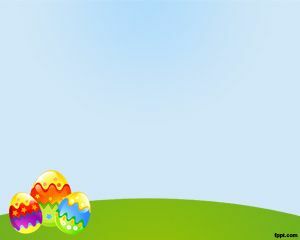 Alternatively you can download other free Easter Eggs PowerPoint templates and backgrounds for your Microsoft PowerPoint presentations. This PPT template is compatible with major versions of PowerPoint including PowerPoint 2016 for Mac (Preview release), PowerPoint 2013, PowerPoint 2010 and PowerPoint 2007. 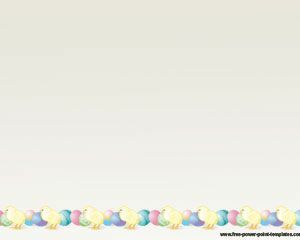 Share Easter craft ideas this year by sharing your eggs basket knitting pattern under the How To & Instructions category of popular presentation websites. 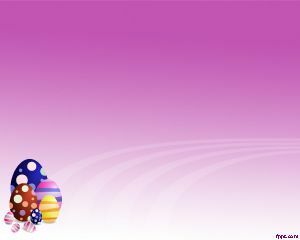 Decorate the basket by filling it with colored eggs, grass, toys, gifts and much more. 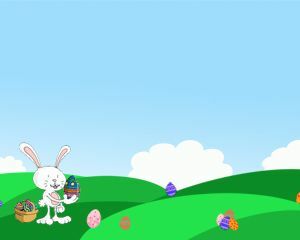 Make an eggs basket for kids or play a game this holiday using free Easter PPT theme and Easter Egg Hunt PowerPoint slides.